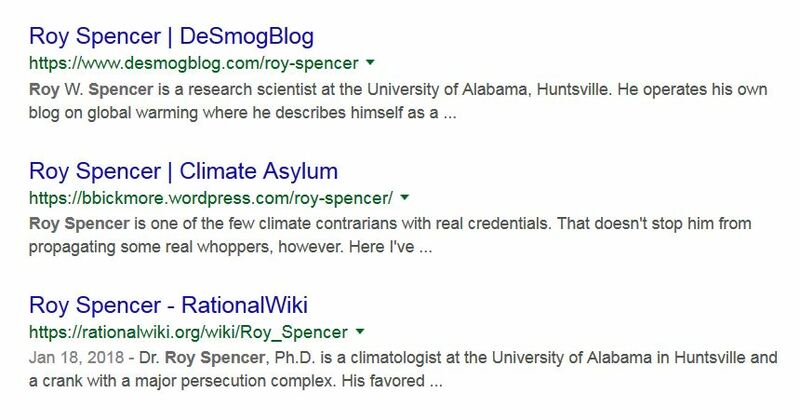 But it seems like when I Google the name of so called Climate skeptics , the top results are all hit pieces designed to denigrate them . You must be doing something right ! Keep up the good and important work . Regarding skepticalscience.com which was / is created and maintained by John Cook (97% consensus paper). John Cook, a professor at George Mason University’s Center for Climate Change Communication who has studied public perception of climate change extensively, believes this type of denial is especially dangerous because it pretends to be balanced—thereby confusing people into apathy. “When you throw conflicting pieces of information at people, they don’t know what to believe, so they stop believing in anything,” he told me. So, that is what you have to keep in mind when you visit skepticalscience.com, “no conflicting pieces of information”. It seems like Cook’s goals and the title of his website are a contradiction in terms. I mentioned CAGW in a Chemistry class, and there were quite a few skeptical kids muttering under their breath… so there is hope! What the hell is Elon Musk doing in that list? 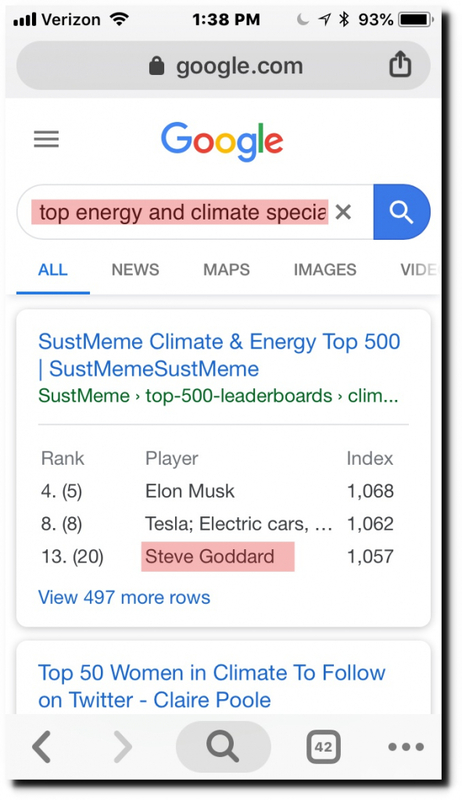 Yes, but why is Elon Musk ranked higher? I think that guy should have been put into the seat of that Tesla space junk they launched into space. Amazon owner bezos is wasting tons of money on a space travel programm. Elon Musks cars are considered the future of co2 free driving. +he is heavily investing in high density battery research. Around here, Tesla’s are high priced status symbols for people who already have a couple Merc’s or Bimmers. Tesla and Musks fame only exist because of hypocrisy and contradiction. A virtue signalling status symbol of the green neo-bourgoisie who can afford paying 3* more for energy and cars. Check again next week. My guess is now that Big Brother knows you rate that high, your rank will soon plummet. But I sincerely hope I’m wrong. Awesome Tony! Keep up the good work! and that more and more people are fed up with all the AGW crap and are avoiding mainstream sources&opinions more and more. I am a frequent visitor and I have a question about long term climate patterns. In addition to climate sites I also enjoy reading archeology sites. This morning I was looking at a story about the area between Alaska and Siberia (Beringia). It got me to thinking about the glacial area of North America. This and past winters heavy cold spells and talk about the ” polar vortex” seems to mirror the known glacial patterns of Canada and the Midwest/ New England areas. My question is: Do you think that our present weather patterns are the “normal” weather systems of the interglacial period we are in now? Not sure if I framed the question clearly but aside from warm blips in normal cold weather such as the medieval warm period, Roman warm period,ect. doesn’t this follow the average winter weather of North America? Would appreciate some guidance to other websites if you don’t have time for an answer.